So I had this idea of doing a skincare routine blog post featuring new products I've been using every morning and night for the last 4 weeks or so. I really wanted to do full reviews of the new products I've been using and felt that it would be too long in one post. Wondering how I would do it, I eventually decided to make it a sort of 'mini-series' showcasing each of the products I've been using over the course of two weeks (so not to bombard with beauty reviews). 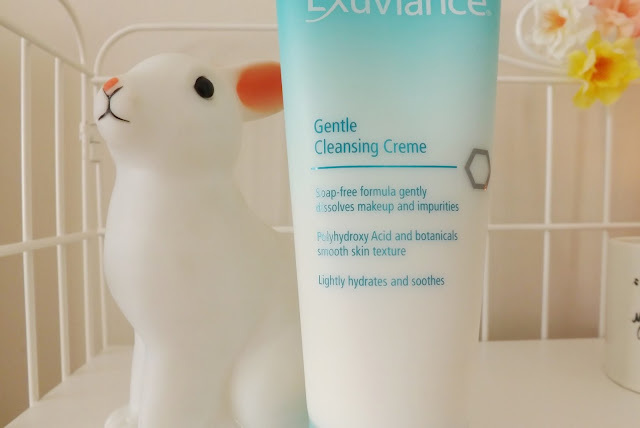 I hope you enjoy this mini beauty series on my blog starting off with my newest cleanser by Exuviance! Exuviance is a new brand to me that I was glad to meet at the #BloggersFestival this year. I had a lovely chat with one of the women representing Exuviance about the brand, and what they have to offer. They kindly offered to let me try something from their range and after speaking about my skin type told me I should try the Gentle Cleansing Creme. 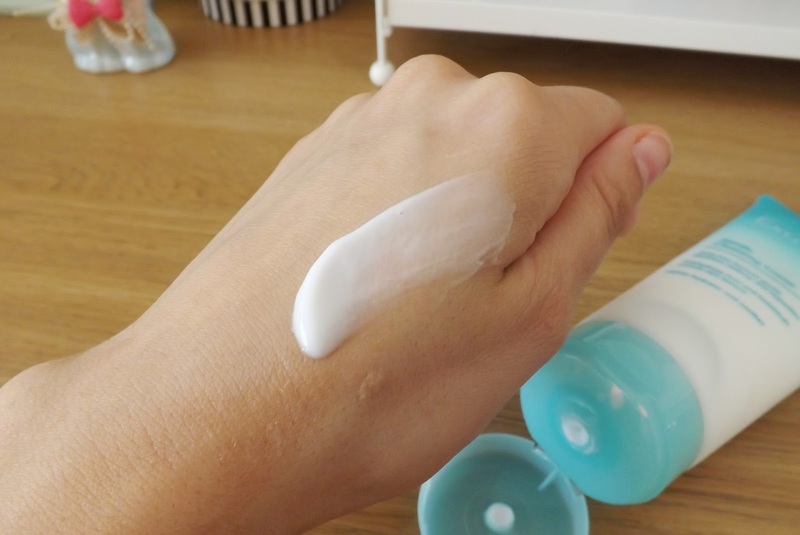 I have quite sensitive skin in areas such as my upper cheeks and my nose and it's also very dry too so this sounded perfect and I was eager to start implementing it into my new skincare routine. The Gentle Cleansing Creme is ideal for all skin types and offers hydration along with removing all traces of make up without irritating your skin at all. Applying it is easy; simply dampen your face and hands and apply a small amount into the skin in upward circular motions. It feels amazing when applied and does exactly as it says removing all traces of make-up leaving your skin feeling super moisturised and soft! I use this every morning and night before anything else. The only thing I may do before in the evening is remove the majority of my makeup with the Bioderma Micellar Water, but otherwise this is the first step to my morning and evening skincare routine. I've been using this for almost a month now, and I've seen the difference in my skin. It feels much cleaner and much more moisturised. Even if I've missed out moisturising from my routine, I know I'm getting my skin hydrated with this amazing product. I would definitely recommend trying this product for yourself, but as a higher end product it's definitely on the more expensive side. A 212ml tube will range from £29 - £39 (RRP) dependant on where you're shopping it. After using this everyday for a good 3 weeks at least, I've only reached below the Exuviance logo on the tube, so I'd definitely say it's worth the money! The amount of product you need for each use is quite small, so it's long lasting meaning it's a small investment for a great product as well as shopping around for the best prices. Exuviance is new to the UK and not available on the high street just yet, so it is a bit difficult to find just yet. You can find it easily online by googling the brand if you are interested. I've looked around and found the Exuviance range in places like Amazon or skincare specialist such as Effortless Skin or Face The Future. This sounds really good! A little expensive for me but one to remember!